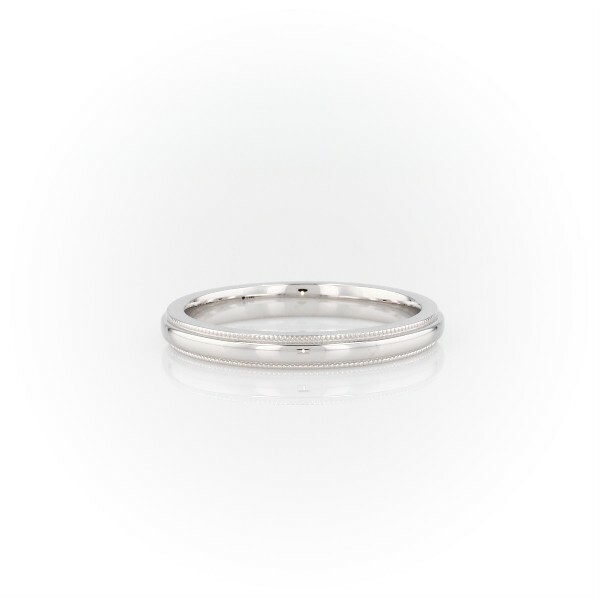 This 14k white gold wedding ring is a favourite style that is both simple and elegant. Crafted in classic 14k white gold, with a polished finish, the slightly domed centre band is framed by detailed milgrain edges. Rounded inner edges create a comfortable everyday wear.